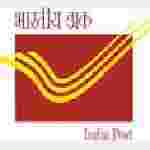 Rajasthan Postal Circle postal / sorting assistant, postman recruitment 2016-17 apply for 31 posts : Rajasthan Postal Circle, welcomes application for the position of 31 postal / sorting assistant, postman and MTS under sports Quota for the district recruitment in post office or railway mail officer vacancies. Candidates who completed their +2 class, matric, ITI is a good opportunity.The individuals who are the occupation seekers searching for govt employments in Rajasthan this is the best chance to apply. Competitors read the official notification then read all the guidelines and miners precisely then apply before the last date online application got. All the interested and eligible candidates can apply before 23rd September 2016. All the Eligible and Interested Aspirants can apply online on or before 9th September 2016. The details regarding this Recruitment, Educational Qualifications, Age Limit, Pay Scale, and Selection Procedure are available at the official website .This is the precious opportunity for those candidates who are eagerly waiting and preparing hardly for Central Govt jobs. The age of the candidate should not be less than 18 years and should not be more than 27 years. The age of the applicant should be as on 23rd September 2016. For Postal / Sorting Assistant : Candidates should have passed +2 class standard examination board or passed +2 class from recognized university / board of school education / board of secondary education. For Postman: Candidates should have passed matriculation from a recognized board or university. The selection of the candidates will be on the basis of written examination and personal interview depending on the number of Candidates applied. Candidates are required to pay Rs 100/- in the form of Indian postal order (IPO) only in the favor of chief Postmaster general, Delhi Circle payable at the post office, Jaipur GPO, Jaipur:- 302001. Candidates may apply in prescribed their bio- data along with attested photocopies by Gazette officer of mark-sheets / age certificate / caste certificate / experience and two passport size photograph send via registered / speed post only to the assistant director (staff), O/o chief postmaster general, Rajasthan circle sardar patel marg, C Scheme, Jaipur:- 302007 on or before 23rd September 2016. Important Dates: All the interested and eligible candidates can apply before 23rd September 2016.